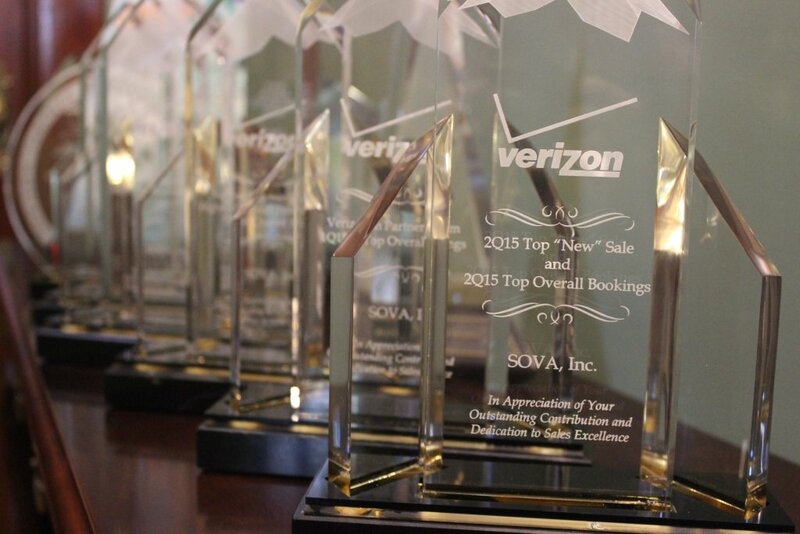 SOVA earns the “TOP OVERALL BOOKINGS” award in the Verizon Partner Program for the 2nd Quarter of 2015…making this our 5th consecutive award! Go SOVA….and Go SOVA Agents! To show our appreciation, we’ve got a great incentive going on now through November 30, 2015. For qualifying orders of Internet Dedicated (IDA and IDE), Private IP (MPLS) and Business Connection, you can earn BONUS money! Existing agents, please email quotes@sova.com for pricing and details about the SPIFF. Not a SOVA Agent? Email Angela Welby at angela@sova.com, or submit a request for more info via our website.